Experts are finding modern travelers want more from their accommodations than the usual amenities. Now, Hilton is building a new brand to meet these demands. WASHINGTON — High thread-count sheets, soaking tubs, and club sandwiches delivered on room-service carts have long been the standards of a quality hotel experience. But now, experts are finding a growing number of travelers want more from their accommodations than the usual amenities. In recent years, boutique hotels and the big brands have redesigned their lobbies, gyms and guest rooms to meet the demands of the modern traveler. Some hospitality corporations have even launched new brands (RED by Radisson and Moxy by Marriott, to name a few), where concierge services are digital, cocktails are craft and free Wi-Fi is a given. “Being in the heart of the neighborhoods in those great city locations so you can experience what those cities are all about, that’s what our guests are asking for,” said Tripp McLaughlin, global brand head for Motto by Hilton. The Motto lobby (called the common), will be built with both locals and guests in mind. A coffee shop/bar will anchor the entry, and there will be plenty of space for people to gather and work. “Each Motto common should be different to each location. It should be true to the neighborhoods that they’re in and really be seen as a part of the local fabrics,” McLaughlin said. 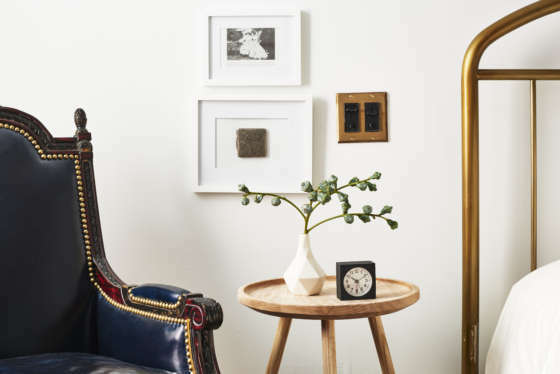 Upstairs, guests can expect smaller, more efficient rooms (163 square feet — about half the size of a conventional hotel room), that convert to shared spaces for large families and friends. “Multiple rooms can link together, so if you’re traveling with a group and you want to sleep three people in the same kind of area, we can actually group three or four rooms together,” McLaughlin said. 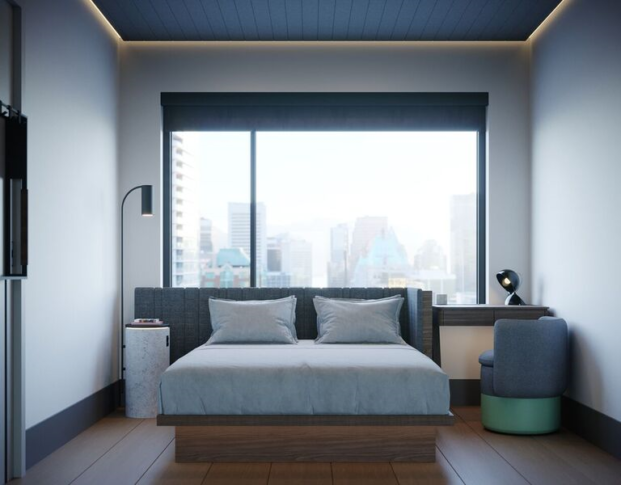 In-room coffee, large wardrobes, even bedside alarm clocks, will be replaced with all-day grab-and-go food options, wall beds and an app that controls lighting and temperature. The price will also have a smaller footprint. McLaughlin estimates Motto’s rooms will be about 10 to 15 percent less expensive than competition in the market. “For us, it’s important to make sure this product works not just for millennials or Gen Xers or baby boomers, but across demographics,” he said. McLaughlin said the first Motto by Hilton will open in London in late 2019/early 2020.